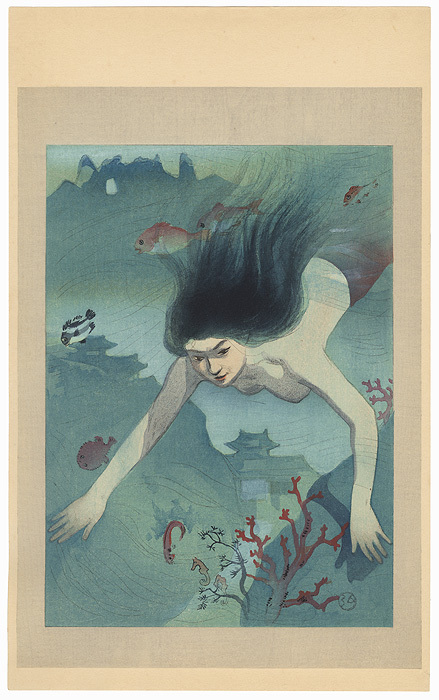 The Heroine Matsukaze - Incredible image of the beautiful Matsukaze swimming underwater in the play "Matsukaze Murasame Sokutai Kagami." Matsukaze and her sister, Murasame, were brine carriers (salt makers) who both fell in love with the courtier Ariwara no Narihira when he was exiled to Suma. 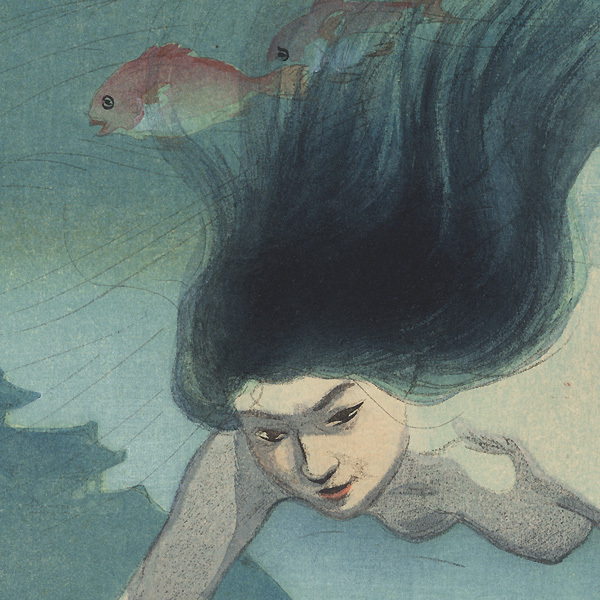 Here, she dives beneath the waves, her long hair flowing behind her as she swims past fish and corals, with a palace seen in shadowy blue in the distance. Beautiful color and fine bokashi shading capture the feeling of currents and the effects of light and shadow beneath the sea. A fantastic design from this series. 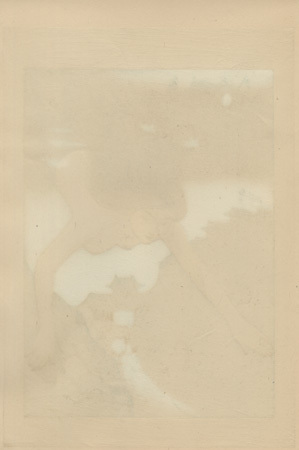 Condition - With excellent color and detail as shown. Slight toning, a few small spots. Please see photos for details. Good condition overall.